You could spend hours and hours shopping online for EMS work pants and apparel but how do you know what you’re getting? You could potentially waste time and money. NOT GOOD. That’s exactly why I wrote this blog post…to give you a shortcut to smart EMS clothing shopping. I’ll tell you what most EMS workers buy and where to buy them. You’ll get the best clothing at the lowest price. EMS polo shorts – are regular polo shorts with the exception of a EMT or EMS patch embroidered on the front chest area. Most are Navy Blue or Black in color and range in price from $25 – $30. 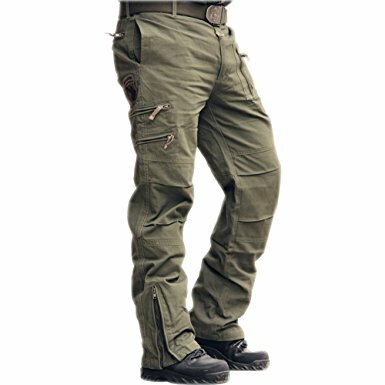 Sunsnow 101 airborne tactical/cargo pants are a good choice for just about any type of outdoor sports or activities like hunting, fishing, hiking, climbing, tactical ops, competition shooting, cycling or camping….or piloting an F-16.